In a rather rapid final table of five hours, Nick Petrangelo got his 2017 tournament poker season off to a good start by outlasting Mike Watson and Fedor Holz to win the Aussie Millions $100,000 Challenge on Saturday at the Crown Casino in Melbourne. Steffen Sontheimer was the leader of the event with 451,000 in chips as it entered its final day, but that lead was a tenuous one. Hot on his heels were Holz (394,500) and Petrangelo (381,000), with the remainder of the table filled out by Sam Trickett (265,000), Watson (146,000), 2016 Player of the Year David Peters (96,000) and David Steicke (78,500) rounding out the field. With only three players getting paid, the desire to remain at the final table for even the shortest of the stacks was high. Steicke was looking for that proverbial “double up and go home” early on and he would get that (against Sontheimer), but that would be the highlight of his day. On Hand #5 after Holz had raised and Watson three-bet the action, Steicke pushed all in from the big blind and only found Watson willing to play. Watson’s Big Slick was slightly behind Steicke’s pocket Queens, but the Ace on the flop changed everything in favor of ‘SirWatts.’ A ten on the turn presented more outs for Steicke to a Broadway straight, but the river Ace instead gave Watson trips; left with 5000 in chips, those would go to Holz on the next hand as Steicke went home empty handed in seventh place. It would take almost two dozen more hands before the next combatant left. Watson was once again the beneficiary as, after raising from the cutoff, Peters would defend his big blind. The 7-2-10 flop brought a check-call from Peters, an action that was duplicated when a Jack came on the turn. The river brought a King and Peters checked for a third time, at which time Watson put Peters to a decision for his tournament life by moving all in. Peters mulled the decision for a lengthy time, even using a ‘time bank’ chip being employed in this tournament, before calling off his stack. Whatever Peters was thinking, he didn’t put together than Watson had rivered the nuts with his Q-9 for a King-high straight. Sending his Q-10 (pair of tens) to the muck, Peters was done in sixth place. With two more eliminations to the money, the remaining players tightened up a bit. Trickett would double through Sontheimer to put the German on the short stack, but that would be the most action for the next 20-plus hands. On Hand 52, Sontheimer’s short stack became “no stack” when he clashed with Watson. Sontheimer raised off the button with pocket sevens, only to see Watson three-bet out of the big blind, which Sontheimer called. A 6-8-5 flop saw Watson utilize the c-bet and Sontheimer, pondering his action, burned a ‘time bank’ chip before moving all in. Watson nearly beat Sontheimer into the center with his call, turning up pocket tens for an over pair to the board. Sontheimer, however, was in good shape with his pocket sevens; the open-ended straight draw, along with his pocket pair, gave Sontheimer 10 outs to taking the hand. Alas, another five on the turn and the Queen on the river weren’t one of those 10 outs, sending the start of day chip leader to the rail in fifth place. Trickett would be next to head home (and without any money) as, on Hand 57, Watson’s A-J picked up a Jack on the turn to leave Trickett drawing dead with his Q-9. With a $1.76 million prize pool to split amongst each other, Watson (holding a significant lead), Petrangelo (rather quiet) and Holz (continuing his rush from 2016) took care of their business rather quickly. Holz would be first to go as he decided to challenge Petrangelo. Holz correctly pushed all-in against Petrangelo (holding A-8 off suit) while holding pocket fours but, after Petrangelo called, the “poker gods” weren’t with him. An Ace showed up on the flop and a second came on the turn, leaving Holz drawing to one of the two fours to vanquish Petrangelo. The river six ended that hope and sent Holz out of the event in third place, but with some money for his efforts. Holz will look to add on to his Aussie Millions trip by playing in the Main Event final table on Sunday. Down to heads up, Watson held a slight advantage against Petrangelo, one that he would extend to a million chips only 10 hands into play. Petrangelo spent the next 10 hands getting back to even before taking the lead on Hand 96 when he forced Watson to fold the better hand (8-6) by over betting a pot on a 5-6-3-Q-5 board when Petrangelo only held a K-7. Now roughly even, the twosome would keep action to pre-flop as three-bets took down many of the next 20 hands. With both players playing quite strong, the ending came rather suddenly. After a raise from Watson, Petrangelo (holding a slight lead) called to see an 8-2-5 flop. Both players checked their options to see a seven come on the turn, which brought a 45K bet from Petrangelo and a call from Watson. A Jack on the river presented flush possibilities, but Petrangelo didn’t hesitate in popping 150K into the center. At this point, Watson made a move, waiting until the last possible minute to move all in. After an exact count, Petrangelo made the call and showed J-8 for two pair. All Watson could muster with his gutsy move was an A-4 for only Ace high as Petrangelo took the championship. With the conclusion of the $100,000 Challenge, the Aussie Millions Main Event will return for its conclusion on Sunday. Shurane Vijayaram will take a big chip lead to the final table, one that will also include Holz and Jeff Rossiter amongst its notables. It promises to be an exciting day as the champion of one of the poker world’s most coveted titles – Aussie Millions Main Event champion – will be decided. Poker News Daily is one of the top resources for poker strategy, news, player profiles, reviews and more. 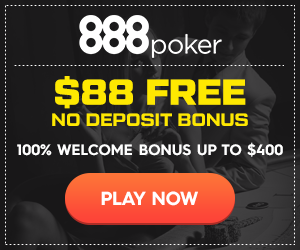 Copyright © 2019 PokerNewsDaily.com - All rights reserved.